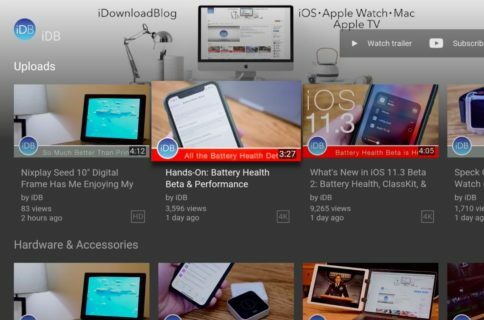 Yesterday, Google announced that it was bringing a new version of its YouTube app to Android, but it didn’t say when it would be reaching iOS. Well it looks like the answer is today. 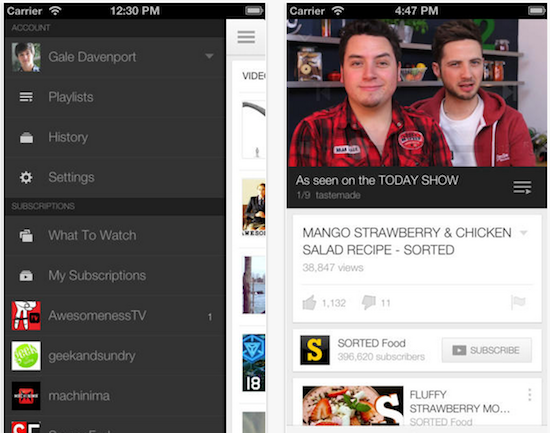 The search giant just posted a big update for its standalone iOS YouTube app. 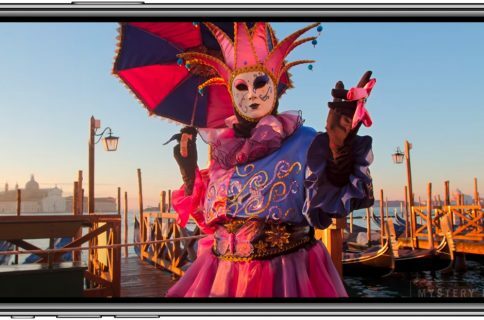 “With the swipe of a finger, you can watch a video at the bottom of your screen while you keep exploring. Think about it this way–you can watch a video about making the perfect fried chicken while searching for homemadesalted caramel sauce recipes. Also new in the YouTube app is the ability to search and browse channels for playlists—something you couldn’t do on mobile before. Now you can set back and watch collections of back-to-back videos, such as entire seasons of YouTube series like Epic Rap Battles. Finally, to round out the update, the UI in the app has been refreshed with a “cleaner, simpler look that you’ll see in other apps from Google.” The new YouTube app will be available shortly from the App Store, for free.